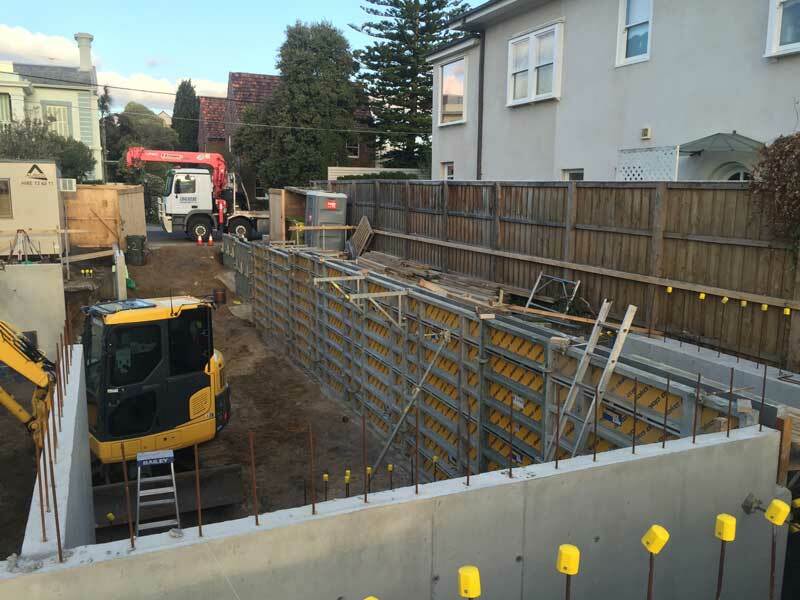 A job recently completed by Chalmers Constructions was a townhouse development in Brighton, Melbourne. 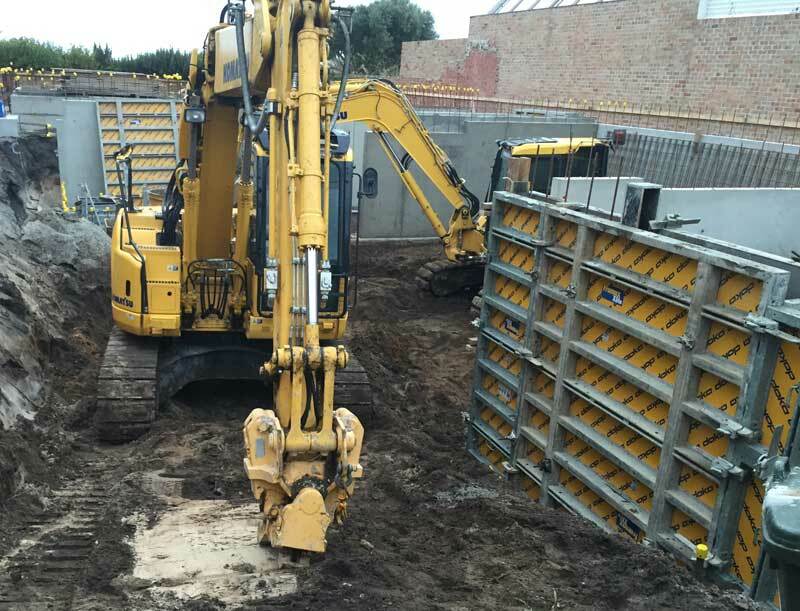 The site was a residential block in bayside Melbourne that had both access and size restraints. 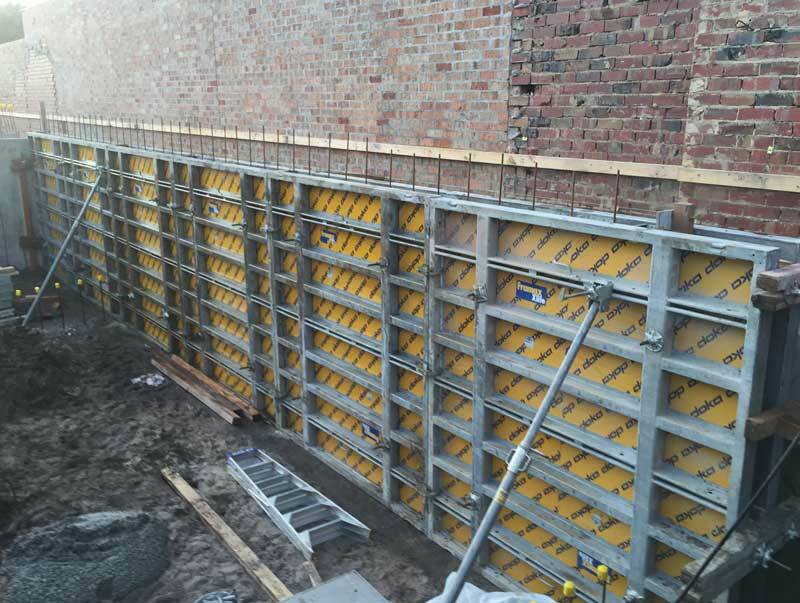 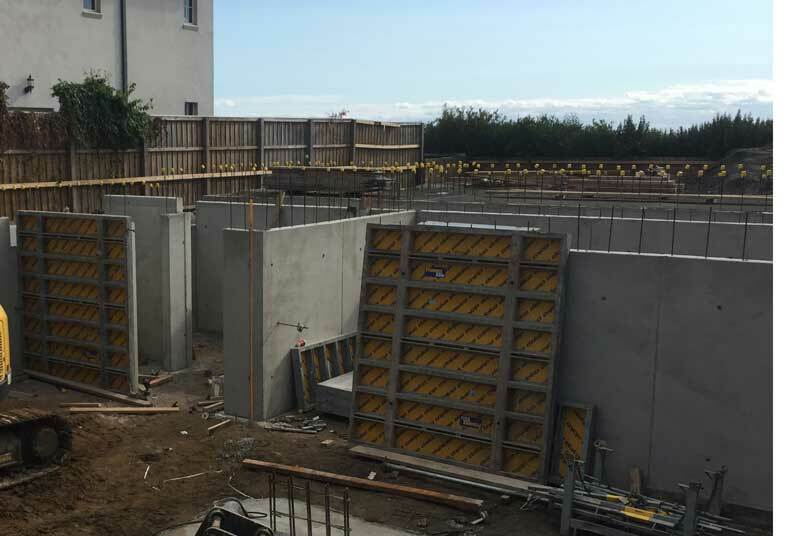 Due to these factors, the Doka modular formwork system was utilised to build the walls and external structure of the development. 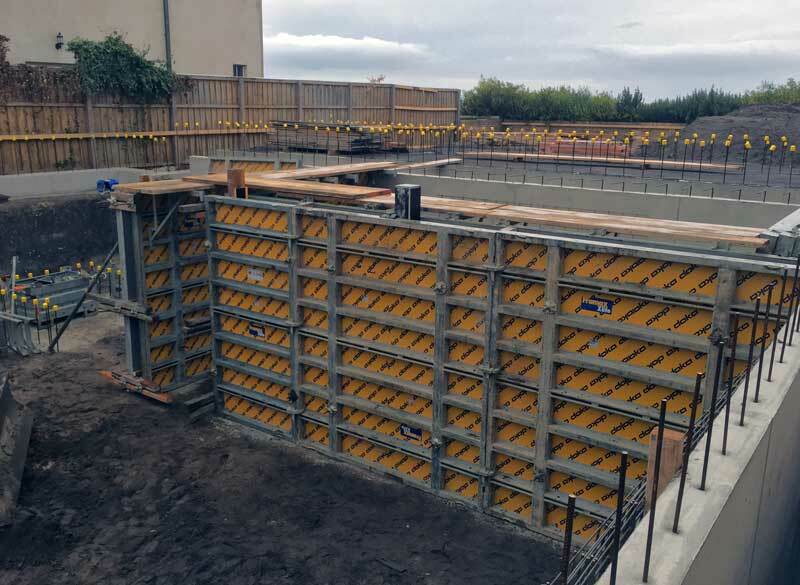 The Doka system was able to be moved within the small site with excavators, reducing the manual handling of materials and eliminating the need for an overhead crane. 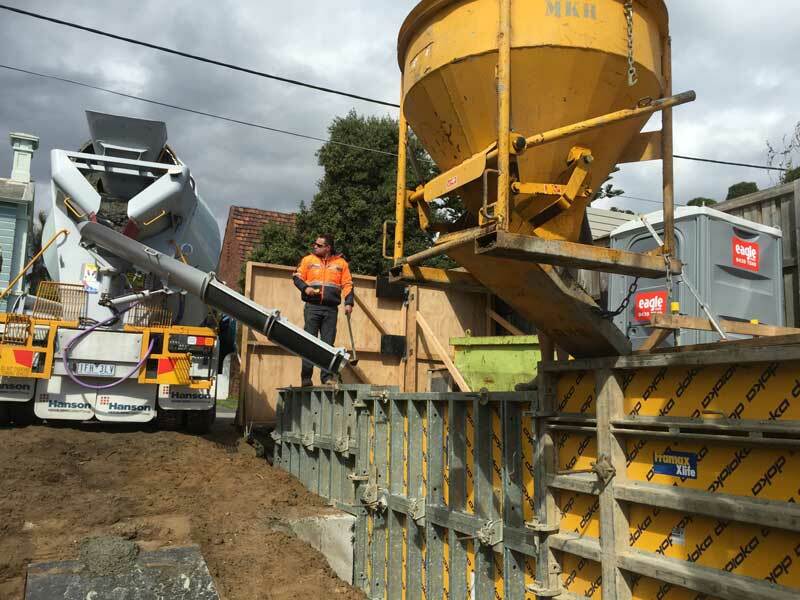 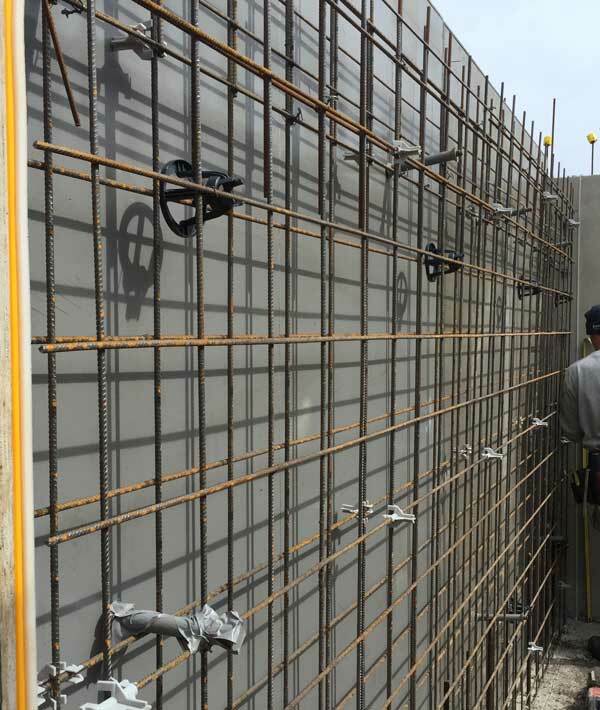 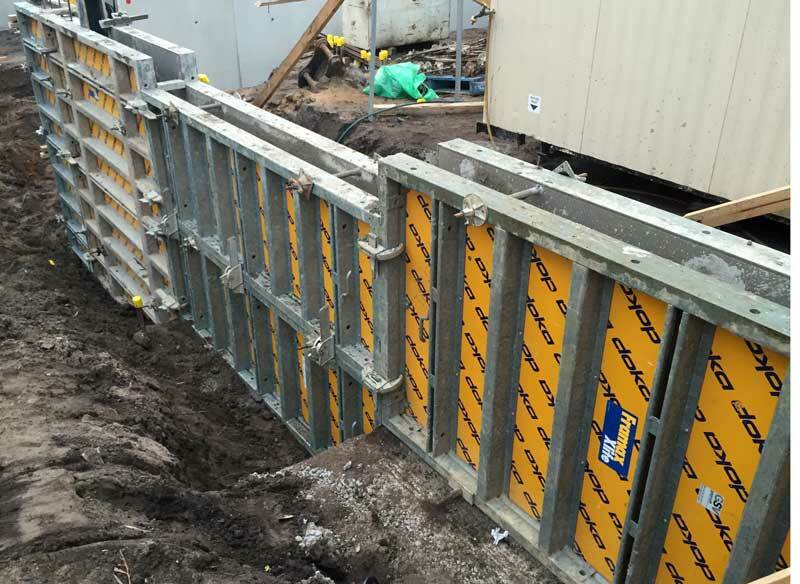 The walls, once formed using the DOKA modular formwork system, were poured with concrete using a combination of excavators and a kibble, eliminating the need for a concrete pump.